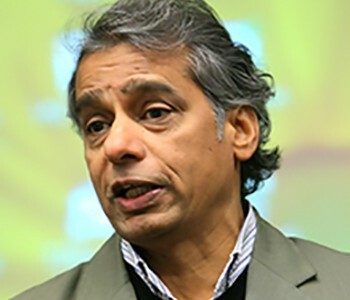 Dilip Gaonkar is Professor in Rhetoric and Public Culture and the Director of Center for Global Culture and Communication at Northwestern University. He is also the Director of Center for Transcultural Studies, an independent scholarly research network concerned with global issues. He was closely associated with the journal Public Culture, serving as the Executive Editor (2000-2009) and as Editor (2009-2011). Gaonkar has two sets of scholarly interests: rhetoric as an intellectual tradition, both its ancient roots and its contemporary mutations; and, global modernities and their impact on the political. He has published numerous essays on rhetoric, including “The Idea of Rhetoric in the Rhetoric of Science” that was published along with ten critical responses to the essay in a book, Rhetorical Hermeneutics: Invention and Interpretation in the Age of Science, edited by Alan G. Gross and William Keith (1996). Gaonkar has edited a series books on global cultural politics: Globaizing American Studies (with Brian Edwards, 2010), Alternative Modernities (2001), and Disciplinarity and Dissent in Cultural Studies (1995). He has also edited several special issues of journals: Laclau’s On Populist Reason (with Robert Hariman, for Cultural Studies, 2012), Cultures of Democracy (for Public Culture, 2007), Commitments in a Post-Foundational World (with Keith Topper, 2005), Technologies of Public Persuasion (with Elizabeth Povinelli, 2003), and New Imaginaries (with Benjamin Lee, 2002). He is currently working on a book manuscript on Modernity, Democracy and the Politics of Disorder.